1. Balance means preaching the whole counsel of God. Paul reminded the elders at Ephesus that he had declared to them “all the counsel of God” (Acts 20:27). This is the job of every preacher, but particularly of a pastor or a church planter. Every part of the Bible, every doctrine, is important. No preacher has the liberty to say “I will preach some doctrines, but the rest I am not responsible for,” or “I will just preach the gospel,” or “I will just focus on this particular topic” (the family, creation science, Bible versions, separation, contemplative mysticism, etc.). Ever since God called me to preach, I have always been convinced of the importance of preaching and contending for the whole counsel of God. For our church planting ministry in South Asia I developed a Bible school curriculum to train preachers. We train them in the whole counsel of God. In 1993, I completed the Way of Life Encyclopedia of the Bible & Christianity, which deals with every doctrine and nearly every word of the Bible. The book Things Hard to Be Understood, which we published in 1997, also seeks to deal with everything in the Word of God, including the most difficult parts. Our One Year Discipleship Course is the most thorough one in print, to my knowledge. If balance means preaching the whole counsel of God, I am balanced. Careful readers will note that even via the Fundamental Baptist Information Service we deal with a very wide variety of doctrines and issues. The current event items are not selected haphazardly. We do not emulate the Religious News Service in attempting to cover every major current event in “Christendom” or in the ecumenical or denominational worlds. One of our chief goals is to select events that illustrate doctrinal truths which are being attacked. We do not merely report on events and personalities and books and speeches. We analyze these with the Word of God and sound doctrine. We deal with the gospel, justification, the church, sanctification, prophecy, Christian living, biblical inspiration and preservation, and countless other aspects of biblical truth. We focus on the things that we feel are at the forefront of the devil’s attack upon the truth and upon New Testament churches today. 2. Balance means fulfilling the Great Commission. The term “Great Commission” is not in the Bible, but there was a “great commission” given by the risen Christ to the apostles and through them to the churches. It is emphasized by the Holy Spirit in that it is repeated five times (Matthew 24; Mark 16; Luke 24; John 20; Acts 1). This commission is to preach the gospel to every creature and every nation, to baptize and disciple those who believe, which entails establishing sound New Testament congregations wherever the Word of God is spread. This commission is to be perpetuated until Christ returns. It is the general marching orders for the churches. We see the Great Commission fulfilled and exemplified in the lives of the apostles. They did not get entangled in political activity or in building social-justice movements. They gave themselves exclusively to the preaching of the gospel and the founding of churches that would perpetuate this Commission. Every God-called preacher is under obligation to give himself to the fulfillment of the Great Commission. There is a “balance” defined for us here. Every preacher is to be busy preaching the gospel. Every preacher is to be busy discipling converts. Every preacher is to be involved in the establishment of sound churches. This does not mean that any one man will not be focused more or less on certain parts of the Commission. Gifts and calling are different. Philip the evangelist focused on the preaching of the gospel (Acts 8:5-40), while Barnabas focused on the establishment of the new disciples (Acts 11:19-26), but this is not to say that Barnabas did not preach the gospel to the unsaved or that Philip did not disciple believers. No preacher can say that God has not called him to evangelize the lost or that God has not called him to disciple the saved. No preacher has the authority to ignore the New Testament church and go about evangelizing or discipling apart from the church. To be “balanced” means the preacher is seeking to do the whole work of the Great Commission. If all I did was write articles for the Fundamental Baptist Information Service, and I did not seek to take the gospel to the unsaved and to disciple Christians and to be a fruitful member of a New Testament church, I would not be balanced. I do all of these things, though, and I always have. Obviously the Fundamental Baptist Information Service and O Timothy magazine take much of my time, but they are only two of the things I do. I believe this is what has kept my thinking and ministry on a very practical level. Theorizing and “theologizing” doesn’t interest me, because it doesn’t help anyone in a practical sense. I want to preach something that will help people. Preaching the Word of God for decades in one of the world’s poorest countries and in county jails tends to keep one’s feet on the ground. 3. Balance means fulfilling all of the responsibilities of the Christian life. “For ye were sometimes darkness, but now are ye light in the Lord: walk as children of light: (For the fruit of the Spirit is in ALL goodness and righteousness and truth” (Eph. 5:7-8). “Now I praise you, brethren, that ye remember me in ALL things, and keep the ordinances, as I delivered them to you” (1 Cor. 11:2). Notice the “all” in each of the previous verses. 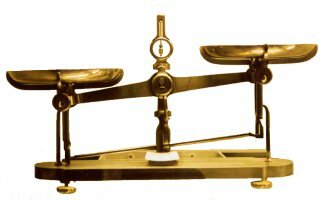 Balance, therefore, would surely involve obedience to every duty God has laid out for us in the New Testament Scriptures. That is a tall order! It means seeking to be pure in thought and deed and speech, walking in the light, confessing one’s sins. It means being a good father, a good mother, an obedient child. It means loving the brethren, being patient with the weak, submitting to governmental authorities, praying for all men. It means being a dedicated and fruitful church member, preaching the gospel to every creature, earnestly contending for the faith. It means keeping oneself unspotted from the world. The list is as long as the New Testament faith. Is any Christian really “balanced” in fulfilling all of the responsibilities of the Christian life? Not by a long shot, but that must be our goal. 4. Balance depends on a man’s gift and calling. My calling has always been along what I consider to be the prophetic, meaning the application of the Word of God to these times, of discerning the apostasy of these last hours, of calling God’s people to repentance, of understanding the broad scope and the end result of various movements rather than merely the narrow focus of what these are actually attempting to accomplish today. During our early years as missionary church planters in South Asia, I entered unwittingly into an intensive firsthand course in end-time apostasy and ecumenism by my experiences with various “Christian” groups and movements and churches in that part of the world. To my knowledge we were the only “fundamentalist” type missionaries in Nepal at that time. There was no like-minded fellowship. We did the best we could to get along with the various organizations and churches that existed, but it was difficult, both for us and for them! I preached a couple of times at the invitation of Campus Crusade for Christ and several times under the auspices of the Nepal Christian Fellowship, but there were conflicts because of our differing views of doctrine and ministry and Christian living. When I first began publishing O Timothy magazine in 1984, I traveled to Serampore University (founded by the famous Baptist missionary William Carey) near Calcutta, India, and recorded an interview with the head of the seminary. The man was also a professor of New Testament theology. He told me that there are a number of ways to become a Christian: be baptized, be born into a Christian home, etc. The one way he did NOT mention was to be born again through personal faith in the finished atonement of Jesus Christ. He told me that he believed Hindus and Buddhists would go to heaven if they were sincere in their own faith. Soon afterward, I published the interview in O Timothy magazine (it can be found in the Fundamental Baptist Digital Library under the year 1984). The man wrote me an angry letter, rebuking me for printing this. I had explained to him exactly who I was and why I wanted to interview him, and he had allowed the tape recorded interview, yet he was upset when his own words appeared in print. I learned through this and other experiences during those days that it is common for false teachers and compromisers to attempt to hide things, to be less than forthright about their positions, to believe and do things in their ministries that are not reported to their supporters, etc. I learned that in order to know the truth about many things in “Christianity” one has to dig for the facts, that the truth is not always out in the open and things are not always as they appear. As I was reading my Bible in those days I came upon the passage in Ezekiel 8:5-18, in which Ezekiel was instructed to dig into the wall of the temple to observe things that were being done in secret by the apostate religious leaders. I was convinced that this is exactly what God wants me to do. I must “dig into the wall” and observe the false and wicked things of apostate and compromised Christianity and rebuke those things with God’s Word and report them to God’s people in order to protect them from error and duplicity. I must read their writings and interview them and analyze them and find out the truth of what they really believe. This is part of my calling. It is not always pleasant; it is not something very many men should do; but it is essential for the protection of the churches. At that time I started a section in O Timothy called “Digging in the Walls” which continues to this day. And the Fundamental Baptist Information Service, which features reports that we publish by e-mail, is more or less the “Digging in the Walls” section of O Timothy magazine in a daily electronic format. This is an essential part of my focus and calling. This does not mean that I ignore the whole counsel of God; it simply means that my focus is different than that of some other God-called men. If a pastor preached only the type of things that I publish in “Digging in the Walls” or the Fundamental Baptist Information Service, he would be unbalanced. This is not the type of thing I preach a lot in my church planting work. 5. Balance depends on the circumstance. Finally, balance has a lot to do with the particular circumstance in which a preacher finds himself. Noah “preached righteousness” for 120 years as the ark was being constructed. Was Noah balanced? The people who heard him preach probably didn’t think so. He was too negative. Jeremiah was terribly negative toward Israel. Was Jeremiah balanced? Of course he was. He was preaching exactly what God told him to preach, and he was preaching exactly what apostate, backsliding Israel needed to hear. What about Amos or Jonah? What about John the Baptist? He lived out in the wilderness and preached repentance, repentance, repentance. Was he balanced? Not by man’s standards, but he was balanced by God’s. He was preaching exactly what God told him to preach and he was preaching exactly what his hearers needed to hear. Likewise, the circumstance will somewhat determine the “balance” of a man’s ministry. You see this in the New Testament epistles. The message given to each church depended upon its particular condition. If a church is becoming worldly and carnal and is in a moral tailspin, should a preacher ignore this and preach about something else? By no means! The condition of his people will largely determine what he needs to preach and what he needs to be doing. Are you, fellow preachers, “balanced”? There is only one absolute measure for that. The measure is not whether your “negative” preaching is balanced by an equal amount of “positive” preaching. The measure is not what some other preachers are doing or what some group of people thinks about your ministry. The measure is not evangelical church growth principles. The measure is not some man’s idea of what a preaching ministry should be. The sole measure is the Holy Scriptures and the perfect will of God for me and my life and ministry. Only the Holy Spirit can guide a man in the “balance” for his life and ministry.